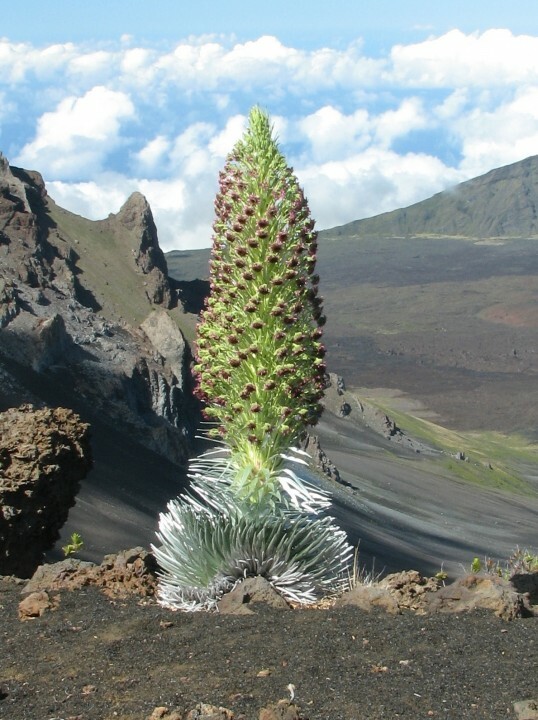 A new study shows how shifting atmospheric circulation patterns, caused at least in part by climate change, are threatening populations of the silversword on Haleakalā. This study, published in Climate Change Responses and supported in part by the PICCC, details the impact of climate change on this iconic, unique plant. 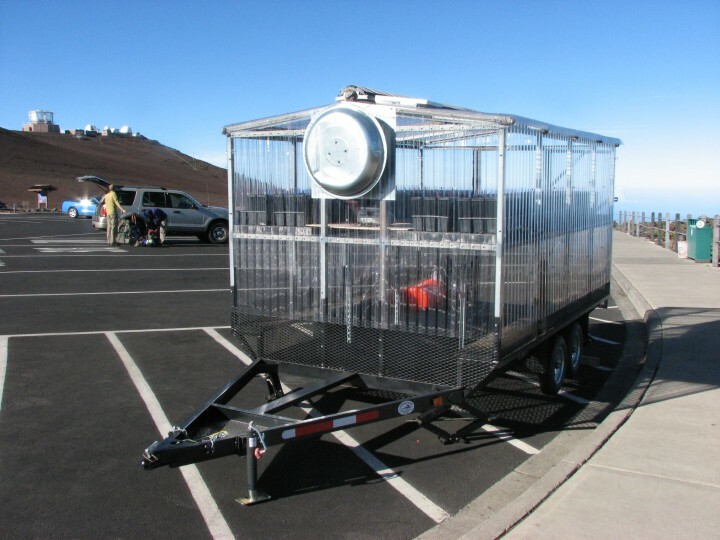 Paul Krushelnycky, of the University of Hawai`i Mānoa, and a team of researchers found that increased occurrences of trade wind inversion may be impacting rainfall in Haleakalā. The drier conditions above the inversion layer may in turn be causing a decline in the silversword population – about a 60% reduction since the early 1990s. Climate projections indicate that in the future, the trade wind inversion may happen more frequently, potentially leading to an even greater reduction in silverswords. Krushelnycky was recently featured on Hawai`i Public Radio’s The Conversation to discuss the latest developments in his research. Although the current status of silverswords look dire, Krushelnycky notes that silversword populations have rebounded and grown back quickly in the past and could do so again if protected from threats and returned to wetter conditions. Beyond this research, Krushelnycky’s work includes drought tolerance experiments as well as experimental outplanting the plants at another more rainfall-heavy locations within the park to discover how they react to these precipitation increases. Read more about the latest developments in Krushelnycky’s research on the University of Hawai`i Mānoa’s website. And read more about the project and its implications for the diverse alpine community ecosystem as a whole, visit the PICCC project page. 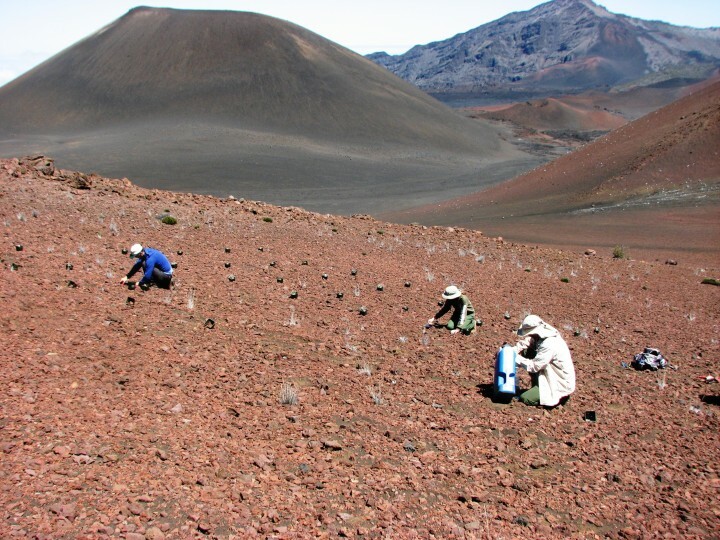 In addition to the PICCC, this work was supported by the Department of Interior Pacific Islands Climate Science Center, the National Park Service and the Hauʻoli Mau Loa Foundation.